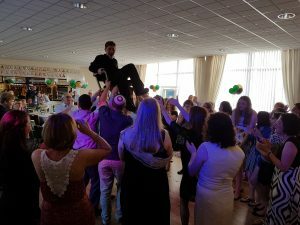 A pleasure to be involved in Zack’s Bar Mitzvah at Lee Park golf club on Childwall Valley Rd, Liverpool. His parents had booked popular DJ Andy B to host the event. Andy carries a comprehensive selection of music suitable for family parties & able to cater for children, teens & the parents/grandparents!